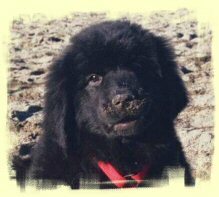 For more than 10 years I talked about “my newfie” – the Newfoundland dog I was going to have “as soon as I buy a house”. I had my first encounter with a newf in a shoe store and fell immediately in love! 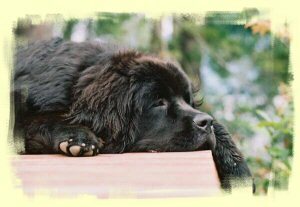 I read books about newfs, scoured the available websites, attended dog shows and water trials, spoke with newf owners and had even contacted a breeder (3 years prior to actually being in a position to own a newf). The day my husband and I signed the contract of purchase and sale for our new condo, I emailed the breeder. After 7 long months, the breeder told me she had a puppy for me, sooner than anticipated, and last Christmas we brought home our fluffy little bundle. 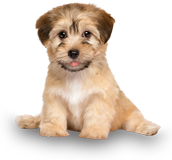 After so many years of research, I knew what I was in for – I was prepared and had even signed our little MacKenzie up for puppy classes at a local rec center. Just before classes began, I saw a van with the logo, “Sit Happens” on the Port Mann Bridge. Call it intuition, but I wrote down the web site address and sat it in my “important papers” pile by the computer. MacKenzie’s first classes at the rec center were more about socialization – and food training. 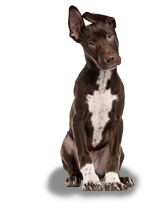 The problem was, MacKenzie is a food hound and when we tried to wean her off the treats, she wouldn’t follow our practiced commands. This was a serious issue for us, since we knew she would eventually weigh anywhere from 130-150 lbs. Not only that, but my husband took her to work with him every day, and I wanted to be able to bring her into my classroom as a treat for the kids. Fortunately, she is a friendly dog and loves to be around people. Unfortunately, she was constantly running toward people and jumping on them. Some customers at the shop were scared of her and we were worried that she might hurt someone. We also had difficulties walking her – she either pulled us along or stopped constantly to smell everything. Once she picked up a chicken bone off the road and I couldn’t get her to drop it. She ran after the children on the street and I had to have her on a leash just to go out in the yard to the bathroom. She would walk along calmly enough at times, but if something caught her attention she didn’t hesitate to run across the street – car coming and all. The final straw came in the form of a phone call from my husband after she had jumped on a lady – she was getting to be unmanageable and he wasn’t going to take her to work anymore. This was devastating for me, as she couldn’t stay home for 8 hours a day on her own: we didn’t have a backyard and she would be desperately lonely. Who would feed and water her? I looked into a few doggy daycare centers, but no one would take her because she wasn’t spayed. Then, I remembered the “Sit Happens” van. I got on the web and read about the available training programs. I emailed Jeff that same day and after his quick response, we had set up an appointment for a free consultation at our home. My husband and I were amazed at Jeff’s demonstration. We couldn’t believe how MacKenzie was responding to his commands, after just a few moments with her. Jeff promised non-abusive training with guaranteed results and we signed up that day without hesitation. We couldn’t wait to begin classes – and we haven’t been disappointed with the results!. We have worked hard with MacKenzie, as training was as much for us as it has been for her. 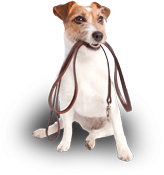 The training techniques offered by Jeff of Sit Happens are fundamental, yet coupled with the instructors’ knowledge of dog behavior they are invaluable. Now, MacKenzie is a dream. We take her everywhere and people constantly comment on how well trained she is. Customers bring her treats, the people in our condo complex adore her, the parents at the school love it when I bring her in for the day and my 11-year-old nephew is able to babysit her without incident. It’s a blessing to be able to take her off leash and to know that she will stay in a down or come when called. When we approach smaller dogs or hesitant people, I am able to have her lay down and stay down. The “place” command allows me to ready her breakfast or make dinner, without a 115 lb shadow. We couldn’t be happier with our puppy. Having her is as wonderful as I had imagined it would be, all those long years ago.